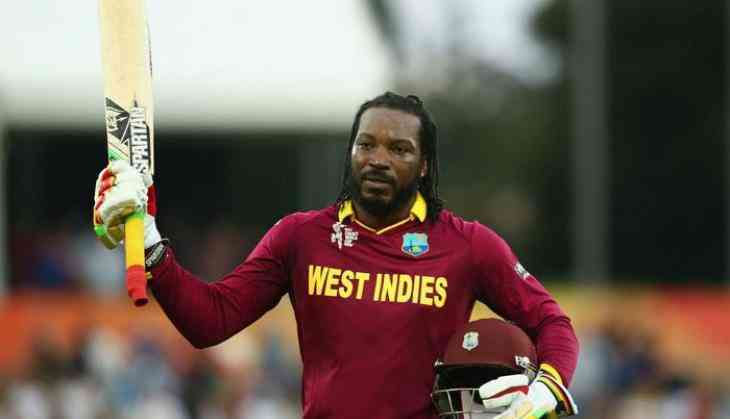 West Indies swashbuckling batsman Chris Gayle, who is feeling privileged to become the first batsman to score 10,000 T20 runs, has insisted that he still has a lot more to offer to the fans and would like to get a few more thousand runs under his belt. Gayle's first significant contribution in this season of the Indian Premier League (IPL)--- a 38-ball 77 ---helped Royal Challengers Bangalore beat Gujarat Lions by 21 runs in Rajkot on Tuesday evening. The left-hander, who was brought in as a replacement for the injured AB de Villiers, put together a 122-run opening stand with skipper Virat Kohli as Royal Challengers blasted 213 for 2, the highest total of the season. Gayle blasted five fours and seven monstrous sixes before he got out. 'People are still looking out for Chris Gayle. The universe boss is still here and still alive,' ESPNcrincinfo quoted Gayle as saying. 'It was great fun. You know it's good to be back. I wanted this so badly, but first of all, to get 10,000 runs, it was actually on my mind, so I'm glad to get that sort of achievement. It's a privilege to actually be the first person to get there. Hopefully, I can continue entertaining the fans,' he added. The 37-year-old also became the first player to score more than 10,000 runs in three levels -- first-class, list-A and T20s. 'It has been fantastic and like I said still I have a lot more to offer to the fans. Hopefully, I can keep entertaining and get a few more thousand runs under my belt,' he added. Interestingly, the Caribbean batsman might end up being the only player in the 10,000 club in T20s for a long time as no other batsman has crossed 8,000-run mark in T20s, with the second highest run-scorer after Gayle being former New Zealand captain Brendon McCullum, followed by Brad Hodge and David Warner.